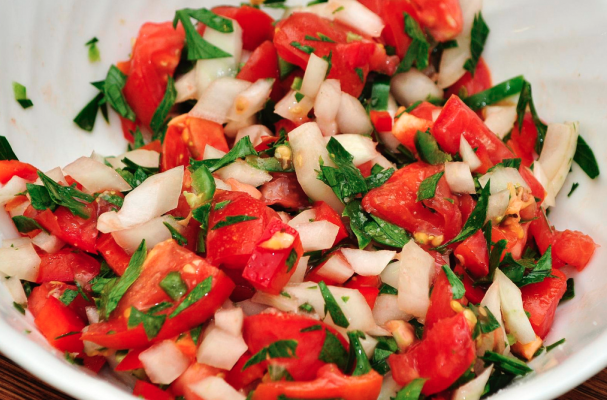 Pico de Gallo is a fresh tomato salsa that is traditionally flavored with jalapeno, lime, onion, and garlic. This version is on the spicier side so if you are not a fan of heat, feel free to add less peppers to your salsa. Serve with freshly fried tortilla chips for an easy appetizer.